Long Term Tourist Visa for the Philippines and Visa Extensions are more in demand than ever. Tourismus in the Philippines is booming. Each year sets new records in arrivals. For most tourists from around the world the regular immigration stamp upon entry is good enough. However, there is also a increasing number of foreign nationals entering the Philippines to stay longer. Some just want to flee from the cold, miserable weather in their homeland, some are looking for a place to retire and explore the Island and others found their partner and want to stay for a longer period of time. The former commissioner of the Bureau of Immigration Hon. 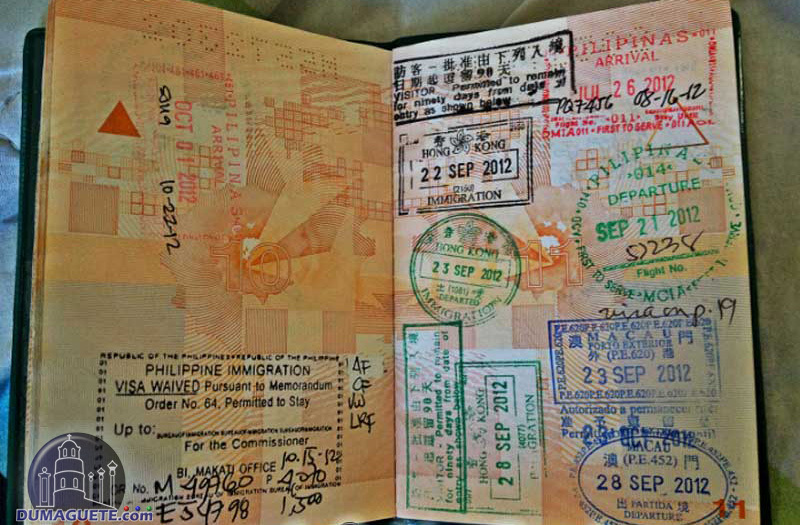 Siegfried B. Mison recommended a updated regulation for Tourist Visa in the Philippines which fall under the section 9(a) of the Philippine Immigration act. This recommendation was honored by Secretary of Justice (SOJ) Leila M. de Lima. Honorable Secretary of Justice (SOJ) Leila M. de Lima approved Immigration Memorandum Circular No. SBM 2013-003 on 23 December 2013 which was recommended by Bureau of Immigration (BI) Commissioner Siegfred B. Mison. Said issuance provides for the policies and guidelines on the extension and updating of temporary visitor’s visa (TVV). b) Thirty-six (36) months for non-visa required nationals. The said periods shall be counted from the date of applicant’s latest recorded arrival. Foreigners included in the Bureau’s derogatory list shall be allowed to extend/ update their authorized stay as temporary visitors; Provided that, their inclusion in the derogatory list is not on the ground of having overstayed in the country. b) Foreigners who have overstayed for more than six (6) months but not exceeding twelve (12) months regardless if their stay is within the maximum allowable period. Foreigners may be granted an extension beyond the maximum allowable period provided that they shall secure appropriate visas/ permits during such extension and have not overstayed in any given period. Foreigners who have overstayed for twelve (12) months or less but have been in the country beyond the maximum allowable period already may be permitted to update their stay with order to leave the country within fifteen (15) calendar days therefrom and their names may be included in the Bureau’s blacklist upon the discretion of the Commissioner; Provided that, the Commissioner, in the exercise of sound judgment, may allow such foreigners to update and extend their stay taking into consideration their Filipino lineage, medical condition, minority, and other analogous circumstances. Foreigners who have overstayed for more than twelve (12) months regardless if their stay is within the maximum allowable period or those found to be overstaying by virtue to a complaint or Mission Order regardless of the period shall be referred for deportation. In addition to the extension/ updating fees and other charges, the concerned foreigners shall be required to pay all immigration arrears imposed by Republic Act No. 562, as amended. Foreign visitors who enter the Philippines on a Tourist Visa are required to provide an onward or outbound ticket. This does NOT need to be a return ticket to the destination of origin. Many long term tourists in the Philippines who have no fixed plan when to leave the country use a “throwaway ticket” from one of the cheap Asian discount-airlines. Some of the best rates are flights via AirAsia to Kota Kinabalu or Kuala Lumpur. It also need to be mentioned that sometimes the staff of the smaller Satellite Offices of the Bureau of Immigration are not aware of new regulations. In this case they are probably informed about the change of the regulations regarding Tourist Visa Extension in the Philippines under the section (9a). As of September 2014 the info above is verified and correct. However, there are some new regulations of the BOI, but like many times there is a delay in implementing it. We will update this post the day we get a reliable verification by the BOI offices. 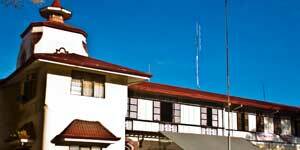 Dumaguete.com is a privately run website, sharing information we gathered from the offices. We are NOT the Bureau of Immigration office! I understand that I must show proof of onward travel to get into the Philippines for the first 30 days. But if I am in the Philippines for 25 days and I want to get an extension to stay a month longer, do I have to show proof of another outward flight in order to get the extension? To clarify your issue. You need an onward ticked as soon you want to enter the Philippines as a tourist. It does NOT matter if you plan to stay a few hours or up to 36 months with visa extensions. So YES, you need an onward ticket to enter the country. However, some might be lucky and have entered the country without onward ticked. (Not recommended). When applying at an BI Office for an extension the onward ticket is not a required document for the application. Thank you for your comment. Allow us to add some info. The majority (60%) of tourists arriving in the Philippines with direct flights from their residing country. The airline of the country of departure is in charge to check for an onward ticket. They usually see onward bookings on their computers when checking in automatically and don’t even ask. The immigration of the departing country does not care, as the person is about to leave, as long as the visa is OK. When changing flights in China most traveler are not entering Chinese soil. They remain in the transit area. There is a passport control where one gets a transit stamp but not an entry stamp. Since mid this year immigration officers of the PI are urged by the commissioner to ask for the onward ticket. Most immigration counters have a small signboard and/or visible print-out to present it with the passport. The wordings vary, depending on the airport. Of course we fully agree with your ending sentence. It can’t be suggested for any country in the world to enter it illegally with a lie. Yes you will need to extend your visa. You can get it ahead of time in your home country, or apply for it at any BoI field office in the Philippines. First you get a 30 day stamp up on entry, before expiration you need to get the Visa-waiver which counts up to 59 days of stay. Before expiration you need to apply for another extension. When in Manila, you can apply for a longer extension at the main office. (6 month-10.000Php). This is not possible in the field offices. You will also need to apply for an ACR-I card after staying 2 month, even you may never receive it. We have a 59 day extension given to us at the airport in Cebu City on Oct. 25th 2016 when we first arrived from Canada. We want to stay until Ap. 12th. 2016. We are travelling to Moalboal and Oslob and Dumaguete before Dec. 25th. Can we get an extension for the next 59 days in ? Can we get a single extention until Ap. 12, 2016 and in each case what should the cost be. One lady by the pool at our condo in Cebu City said she did it at her “at home office” and could help us. Do we have to be concerned about her credentials and how do we check? Are the rates for extension fixed or negotiated???? Many thanks for your help. Thank you for your message. We are not connected to the immigration, however, we try to answer your questions as good as possible. 1. You have 59 days Visa on arival? That sounds strange. Unless it is a brandnew law, the Visa on arrival is only 30 days, and you need to apply for the nest 29 dis at a immigration office. 2. Yes, you can apply for a Visa extension at Dumaguete Immigration. But keep in mind that there is Christmas time. 4. Don’t trust ladies who do things from their “home office”. While some are legit, most are fixers, and you certainly don’t want to give your passport out of your hand to someone you met at the pool. Does this mean that if we arrive at the airport in Manila, receive the 30-day stamp, and then continue to Dumaguete, we can extend our visa after the 30 days in Dumaguete for an *additional* 59 days – for a total stay of three months? Or would we need to go to Manila after 59 total days in the Philippines to receive an additional month? Thank you for your compliment, we just try to help. To answer your question, the entry stamp is good for 30 days, the waiver (which can be done in Dumaguete) for another 29 days to a total of 59 days. 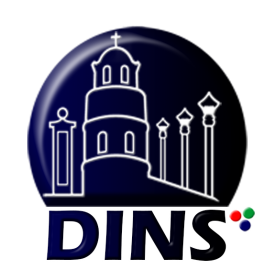 The next extension (1 or 2 month) can be also done in Dumaguete. All extensions can be done in Dumaguete if you plan to stay longer. Keep in mind that after 2 month staying in the country, you also need to apply for an ACR I-Card, no matter when you leave. You will also pay for your exit clearance with this extension. This makes it to a pretty costly undertaking of more than 7,000 Php. I am Filipina, my husband is German. Are there new regulations about balikbayan visa? That means, how long my German husband can stay with me in the Phils. without visa? If he travels with you, he is given an initial stay of one (1) year. They may extend their stay for another one (1), two (2) or six (6) months provided that they present their valid passport and filled out the visa extension form and submit it to the Visa Extension Section in the BI Office. If he is traveling alone, he gets a regular Tourist Visa Upon arrival for 30 days, which can be extended. Thank you very much for your fast and clear information! Hello. We are arriving into Cebu International airport from Hong Kong on the 28.12.16 with an extended visa upto 59 days already in place from the Philippines Embassy in the UK. We have an onward ticket booked to Thailand on 25.5.16, as We intend to apply for further extensions at your BI office in Dumaguete. Will Hong Kong allow us to board our plane to Cebu and will immigration at Cebu airport allow us entry? Thank you for your message. We only can recommend to visit the BI office. We are not aware about the exact regulations with the multiple entry visa. Considering the information with the initial 59 days is correct, you certainly need an extension. As of our knowledge, the shortest extension is 1 month. This is for regular tourist Visa. First thank you for all this useful information and second I just wanna know how many days before I should apply for the visa extension before the first one will be expired. There is a minimun amount of days? Good day, we are not related to any public office, please contact the office regarding your question. Thank you. Hello..do I get an extension visa with following ticket…Europe – Singapore – Manila / Bali – Singapore – Europe..due that I want to stay 6 to 8 weeks in the Philippines and then fly direct to Indonesia. I have been extending my tourist visa every month for 16 months now and I am planning to stay a little while longer. Do I need a visa run in order to stay in the country? or I should extend until 36 months? as long you can legally extend, you don’t need a visa run. However, the BI may request a attorney-signed letter for your reasons to stay with each further extension. Our suggestion would be to give the BI a call to clarify. I am an American married to a Filipina for two years. We live in the states six months and in the Philippines six months every year. I have been getting the extensions after the 30 day visa they give me when I come in country. The cost has been over three thousand pesos for the 30 day extension and that seems quite high. When my wife and I come in together can I get the 12 month visa and not have to do anything else while staying in the Philippines? You might be entitled for a so-called Balikbayan Visa when traveling with your wife. Can I apply it in Dumaguete bureau of immigration? Thanks for your comment, yes you can do that 14 days before your Tourist Visa Expires. IT can be done in one day. However, if they are busy or the office head is out of the house, they may ask you to come back the next day. You can extend your tourist visa 2 weeks before expiration. You also can apply for a extension at the Philippine Embassy or consulate in your home/country if there is one prior your trip if you don’t have time during your stay. I was born overseas (France) to a Filipino parent. I have lived in France all my life and am a French citizen. Am I eligible to receive a balikbayan visa? My Japanese husband and I would like to visit my family in the Philippines for 2+ months next year. I do have a Philippine birth certificate, but no Philippine passport (never had one, I always used my French passport but would still get BB when I was a minor accompanying my parents). Is a birth certificate enough or would this complicate things at immigration? thank you for your message. As it is not about tourist visa, we cnn’t help you with that. You may want to address your question to the Philippine Embassy in Paris. Me and my girlfriend (both P.R.C. passport holder) are traveling in th Philippine since the 21st of October this year, by using our USA visa. However, we didn’t realise that the USA visa only allows us to stay in the Philippine for 7 days, and we are planning to leave for HK on the 31 of October. Which means my visa is short for 3 days. Now we are in dumaguete, and we are just wondering how long does it take to extend our visa in Dumaguete, since we will leave Dumaguete for sijihor and Bohol on the 25th. Is it possible to extend the visa within a day in Dumaguete? the Visa Extension takes normally between 3 and 5 working days. You may want to drop by at the Immigration Office in Dumaguete early morning. Maybe there is another solution we are not aware of. Hello and thank you for this good platform. We are backpackers / workawayers of Dutch nationality. We would love to stay in the Phillipines for 4 months. We will arrive in the Phillipines on the 4th of September 2018 (Manilla) and in Dumaguette on the 5th of September 2018. Our current plan is to stay around Dumaguette for two months (on Negros and Cebu) get the extension for another two months at the office in Dumaguette, stay on Palawan for two months and then leave the country, set off to Indonesia. Is this anno 2018 possible? From the previous comments I understand that it is safe to buy a ticket from Puerto Princessa to Jakarta for 4 months after we entered the Phillipines? Is workaway(.info) (helping with projects / doing chores in return for a bed and food) seen as volunteering or working in the Phillipines? Does this come with special visa requirements or regulations? with your entry stamp you can stay 30 days. One week before expiring, you will need to apply for a 29 days waiver. Before this expires, you can apply for a 2 month extension, which then will add up to your planned 4 month. Please be aware that you will need to apply after 2 month for a ACR-I card as well as going through the Registration process to get a SSRN Number. Even you may never pick up the card and never need it again, it is required by law. The extension after 2 month will set you back around 8.000P each. Also be aware, that you can enter the Philippines only if you have an onward ticket, which verifies that you are leaving the country again. If your organization has no special arrangement with the BoI, you are a regular tourist and will need to follow all required steps and procedures for tourist Visa. A friend of mine who is a foreigner living in Manila told me he overstayed a few years and then married a Filipina lady and was allowed to stay on legally and didnt get blacklisted or deported etc etc. I was just wondering is that true ? If yes then under what residency classification would he be ? A Permanent Resident or ….. ? sometime in June. I will be returning to the Dumagete. in August or September. I have several questions hopefully you can help. 1.What paper work will I need to show at the air port that proves that my wife and children do not need onward tickets? 2.Do you know what paper work I will need to bring with us for the children to attend school? 1 child will be in 8th grade, the other child will be attending college. 3.What paper work will I need to bring with me when I return to Dumaguete the second time so I don’t need to purchase an onward ticket? 1.) Their Filipino Passport will do, if they don’t have, a proof of citicenship is needed. You may get in touch with the embassy in the US about the legit papers. 3.) If you travel with your Filipino wife, you may get a Balikbayan. This is a privilege, not a visa or a “I am entitled to” thing. If you don’t get a retirement visa or permanent resident visa during your first stay and travel alone, you will be dealt with as a normal tourist, and will have to have an onward ticket.